Now with the fibr eoptic cable being widely used in a variety of industries and places, the requests for fibre patch are being elaborated. Fibre patch cables are being required to be improved and provided more possibilities to satisfy various application environments. Actually, many special fibre patch cables have been created to answer the market demand. But do you know how to choose right fibre optic patch cable for our network system? The following passages may give you a clear guideline to choose the suitable patch cables. Why You Need Different Fibre Optic Patch Cables? Fibre optic patch cable, some times also called fibre optic jumper cable, are terminated with fibre optic connectors on both ends. Due to the fact that fibre patch cable can carry more data efficiently, they play an important role in telecommunication and computer networking. And they are also used in numbers of places. Therefore, when you choose fibre patch cables, the first thing you need to know is the environment that the patch cable will be used. Indoor or outdoor? In the air or buried underground? Different environments have different requirements for cables. Let’s take armored fibre patch cable for example. Armored fiber patch cable, wrapped a layer of protective “armor” outside of the fibre optic cable, is generally adopted in direct buried outside plant applications where a rugged cable is needed for rodent resistance. What You Should Concern to Choose the Fibre Optic Patch Cable? Single-mode fibre patch cable uses 9/125um glass fibre and multimode fiber patch cable uses 50/125um or 62.5/125um glass fiber. Generally, single-mode fiber patch cables are the best choice for transmitting data over long distances. They are usually used for connections over large areas, such as college campuses and cable television networks. And most single-mode cabling is color-coded yellow. Multmode fibre patch cables are usually used in short distances. They are typically used for data and audio/visual applications in local-area networks and connections within buildings. Multimode cables are generally color-coded orange or aqua. Simplex Fibre optic cable means the cable composes of only one fibre, then a duplex patch cable consists of two fibres. Therefore, simplex fibre optic cable is common used in a system where only one-way data transfers. And duplex fibre optic cable is applied to where requires simultaneous, bi-directional data transfer. On both ends of the fibre optic patch cable are terminated with a fibre optic connector (LC/SC/ST/FC/MPO/MTP). With the rapid development of optical fibre telecommunication, many different types of fiber connectors are available. They share similar design characteristics. Different connector is used to plug into different device. If ports on the both ends devices are the same, the patch cables such as LC-LC/SC-SC/MPO-MPO can be used; if you want to connect different ports type devices, LC-SC, LC-FC and LC-ST patch cables may meet your demand. It’s known to us that whenever a connector is installed on the end of fibre, loss cannot be avoided. Some of this light loss is reflected directly back down the fibre towards the light source that generated it. These back reflections will damage the laser light sources and also disrupt the transmitted signal. In order to optimise transmitting performance and ensure the proper optical propagation, the end of the fibre must be properly polished to minimize loss. Generally, there are two common polishing types: UPC and APC. And the loss of APC connector is lower than UPC connectors. So the optical performance of APC connector is better than UPC connectors. The cable jacket is to provide strength, integrity, and overall protection of the fibre member. When choose one kind of fibre optic cables, the environment that the cables be used should be taken into consideration. Usually there are three types of jacket: PVC, LSZH and OFNP. Which one you choose depends on where you use the cables. Here are their features. PVC cable resistant to oxidation, it is commonly used for horizontal runs from the wiring centre. LSZH cable has a special flame-retardant coating and it is used between floors in a building. OFNP cable has fire-resistance and low smoke production characteristics. It usually works for vertical runs between floors. 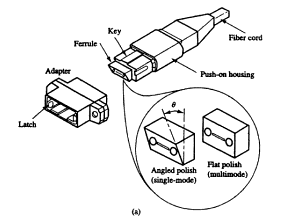 In summary, there are many factors which may affect your choices of fibre optic patch cable. So it’s important to make sense which kind of patch cable can really meet your requirements. FS can provide all kinds of fibre optic patch cables to satisfy your needs! This entry was posted in Fiber Patch Cords and tagged armored fibre patch cable, fibre optic patch cable, LC-FC patch cable, LC-SC patch cable, LC-ST patch cable on August 16, 2016 by Admin. SC duplex connector was popular a few years ago. But as time goes on, smaller and more compact cabling components are required since the packing density of optical devices keeps increasing, namely high density. The smaller the shape, the more popular the component, just like development history of cellphone. Driven by this requirement, optic manufacturers start to produce mini components. The most widely known is the LC connector, a small form factor connector. The following article will introduce various types of LC connectors in details. LC small form factor connector has just 1.25mm ferrule, half the size of the standard connector (compared with SC connector). Because of the high density design, LC connector solution can reduce the space needed on racks, enclosures and panels by approximately 50% throughout the network. So LC connector is a good solution for high density data centres. The LC connector uses RJ45 push-pull style plug that offers a reassuring, audible click when engaged. It makes moves, adds and changes easy and saves costs for you. Besides, the protective cap completely covers the connector end, which prevents ferrule end face from contamination and impact and enhances the network performance. LC uniboot connector includes a finger latch release that there is no need for tools when making the polarity change. Some LC uniboot connectors are color-coded and labeled “A” and “B” to provide visual references when making a polarity change. The uniboot design is compatible with transceivers using the LC interface. The LC uniboot patch cords use special round cable that allows duplex transmission within a single cable, and it greatly reduces cable congestion in racks and cabinets comparing to standard patch cords. LC uniboot patch cord is perfect for high density applications. FS.COM LC uniboot patch cords are available in SM, OM3 or OM4 multimode fibre types to meet a wide variety of configurations and requirements. If you have tried to release LC connectors in patch panels with high density, you must know how difficult it is. As to high density panel, thumbs and forefingers can not easily access to pull the connector. So some manufacturers start to offer a special LC connector which can be easily dealt with. And that’s push-pull tab LC connector. LC push-pull connectors offer the easiest solution for installation and removal. The special design is available in a compact model, ideal for minimizing oversized panels. With this kind of connector, you don’t need to leave additional space at the top or bottom to allow room for engaging the latch. The structure of the LC push-pull compact is designed as the latch can be slid back, instead of being pushed down, to facilitate smooth removal. It’s simple for installation and removal. Push-Pull LC patch cable allows users accessibility in tight areas when deploying LC patch fields in high density data centres. Push-Pull LC fibre patch cords are available in OM4, OM3 or single-mode fibre types to meet the demands of Gigabit Ethernet, 10 Gigabit Ethernet and high speed Fibre Channel. Secure keyed LC connectors are designed for network security and stability. 12 colors are available in FS.COM, including red, magenta, pink, yellow, orange, turquoise, brown, olive, etc. Connections only work when the color matches. The color-coded keying options provide design flexibility and facilitate network administration. It reduces risks and increases the security of network from incorrect patching of circuits. Secure keyed LC connectors feature low insertion loss, excellent durability. This article tells different types LC connectors, including common LC connector, LC uniboot, push-pull LC and secure keyed LC connector. The design of those LC connectors keeps improving to adapt to high density data centrers. Nowadays, the trend of network is high speed and high density. So effective cable management is significantly important. And the key concern is how to manage more cables within less space. Thus, among so many kinds of interfaces, LC connector is the most frequently used and the most effective solution for space saving in data centres. This entry was posted in Cables Management, Fiber Optic Connectors, Fiber Patch Cords and tagged data centre, LC connector, LC uniboot, push-pull LC, secure keyed LC on August 11, 2016 by laura. Given the many different types of fibre-optic data links in a modern enterprise data centre, the design of an optical cable infrastructure that will accommodate both current and future needs has become increasingly complicated. For example, IBM Site and Connectivity Services have developed structured cabling systems to support multi-gigigabit cable plants. In this section, we briefly describe several recent innovations in fibre-optic cable and connector technology for the IBM structured cabling solution (FS can provide the fibre cable assemblies), known as Fibre Transport Services (FTS) or Fibre Quick Connect (FQC). A central concept of FTS is the use of multifibre trunks, rather than collections of two fibre optic patch cords, to interconnect the various elements of a large data centre. FTS provides up to 144 fibres in a common trunk, which greatly simplifies cable management and reduces installation time. Cable congestion has become a significant problem in large data centres, with up to 256 ESCON channels on a large director or host processor. With the introduction of smaller, aircooled CMOS-based processors and the extended distance provided by optical fibre attachments, it is increasingly common for data processing equimpment to be rearranged and moved to different locations, sometimes on a daily basis. It can be time consuming to reroute 256 individual jumper cables without making any connection errors or accidentally damaging the cables. To relieve this problem, in 2007 FTS and S/390 introduced the Fibre Quick Connect system for multifibre trunks. 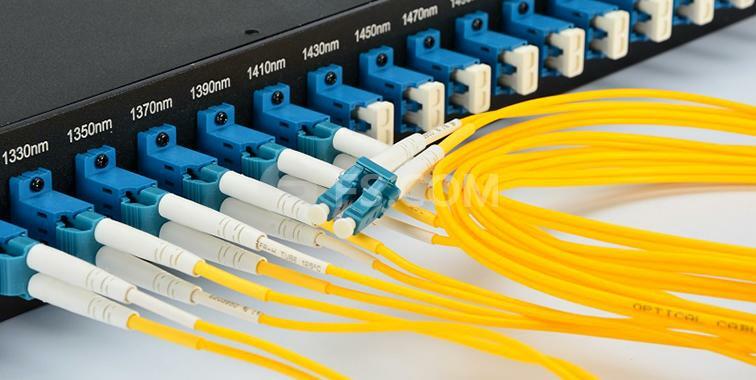 The trunks are terminated with a special 12-fibre optical connector known as a Multifibre Termination Push-on (MTP) connectors. Each MTP contains 12 fibres or 6 dulpex channels in a connector smaller than most duplex connections in use today (barely 0.5 inches wide). In this way, a 72-fibre trunk cable can be terminated with six MTP connectors (buy the MTP/MPO cables with MTP to MPO fibre connector); relocating a 256-channel ECSON director now requires only re-plugging 43 connections. 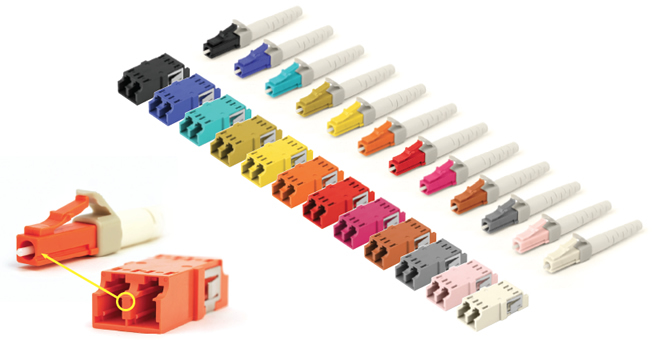 Trunk cables terminated with multiple MTP connectors are available in four versions, either 12 fibre/6 channels, 36 fibre/18 channels, 72/36 channels, or 144 fibre/72 channels. 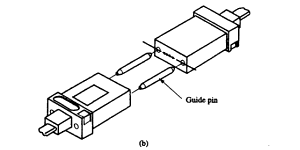 Optical alignment is facilitated by a pair of metal guide pins in the ferrule of a male MTP connector, which mate with corresponding holes in the female MTP connector. Under the covers of a director or enterprise host processor, the MTP connectors attach to a couple bracket (similar to a miniature patch panel); from there, a cable harness fans out each MTP into 6 duplex connectors that mate with the fibre optic transceivers. Since the qualifications of the cable harness, under the covers patch panel, and trunk cable strain relief for FTS are all done in collaboration with the mainframe server development organization, the FTS solution functions as an intergral part of the applications. At the other end of the FTS trunk, individual fibre channels are fanned out at a patch panel or main distribution facility (MDF), where duplex fibre connectors are used to re-configure individual channels to different destinations. These fanouts are available for different fibre-optic connector types, although ESCON and Subcriber Connection (SC) duplex are most common for multimode and SC duplex for single mode. Fanning out the duplex fibre connections at an MDF also offers the advantage of being able to arrange the MDF connections in consecutive order of the channel identifibres on the host machine, greatly simplifying link reconfigurations. As the size of the serves has been reduced and the number of channels has increased , the size of the MDF has become a limiting factor in many installations. 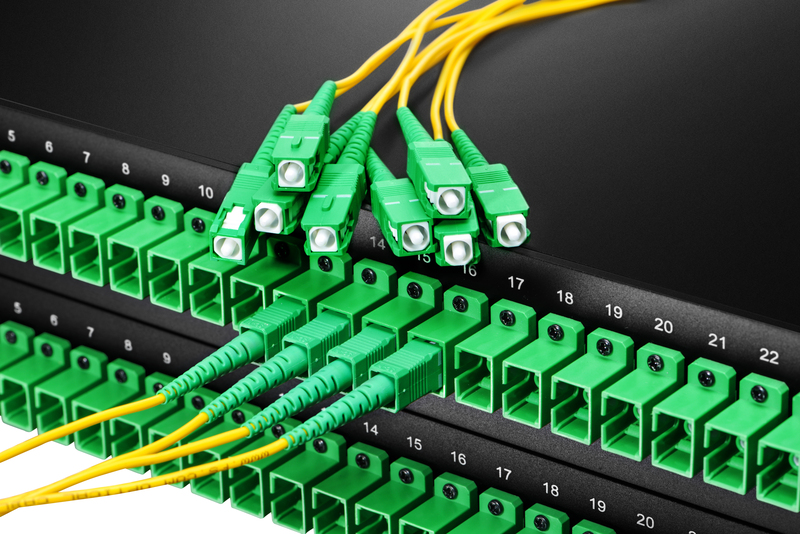 In order to keep the MDF from occupying more floor space than the processors, a dense optical connector technology was required for the Fibre Quick Connect system. To meet this need, IBM Global Services has adopted a new small form factor fibre-optic connector as the preferred interconnect for multimode patch panels, the SC-DC. Structured cabling solutions similar to this are available from other companies as well; they may include overhead or underfloor cable trays and raceways, as well as cabinets or rack-mounted enclosures (standard units are compatible with either 19-or 23-inch wide equimpment racks, with heights between 1 and 7 U tall). FS is a largest manufacturer & supplier of fibre optic network solutions in China. The company has been providing fibre optic cables, patch cables, transceivers, media converters and testers & tools for nearly ten years. Now you can custom your own optical networking devices and assemblies directly on the website. This entry was posted in Fiber Patch Cords and tagged fibre optic, fibre transport services, MTP connector on April 8, 2014 by Admin. ST part of the fiber optic cable is the ST connectors. 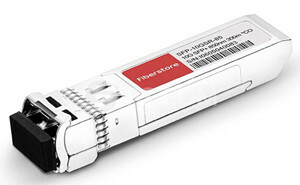 ST is probably still the most popular connector for multimode networks, widely used in the optical distribution frame (ODF), like most buildings and campuses. It has a bayonet mount and a long cylindrical 2.5 mm ceramic (usually) or polymer ferrule to hold the fiber. Most ferrules are ceramic, but some are metal or plastic. ST connectors are constructed with a metal housing and are nickel-plated, can be inserted into and removed from a fiber-optic cable both quickly and easily. They have ceramic ferrules and are rated for 500 mating cycles. From a design perspective, it is recommended to use a loss margin of 0.5 dB or the vendor recommendation for ST connectors. E2000 part of the fiber optic cable is the E2000 connectors. E2000 fiber optic connector has a push-pull coupling mechanism, with an automatic metal shutter in the connector as dust and laser beam protection. One-piece design for easy and quick termination, used for high safety and high power applications. E2000 connector available for Singlemode PC, APC and Multimode PC. The E2000 Connector is one of the few fiber optic connectors featuring a spring-loaded shutter which fully protects the ferrule from dust and scratches. The shutter closes automatically when the connector is disengaged, locking out impurities which could later lead to network failure, and locking in potentially harmful laser beams. Fiberstore E2000 to ST fiber patch cable is made and custom to order worldwide and are fully tested to guarantee top performance. Each assembly is serialized for easy idenfication ans sealed in individual Ziploc bags. Test results are included in each order. They are constructed with high quality fiber glass abd high grade connectors with ceramic ferrules for increased durability and accuracy. This entry was posted in Fiber Patch Cords and tagged E2000 connectors, E2000 to ST fiber patch cable, ST connectors on January 3, 2014 by Admin. If protection of equipment or people is a design requirement, consider low-smoke zero-halogen (LSZH) jacketed cables. They emit fewer toxic fumes than standard PVC-based cable jackets. Typically, LSZH Fiber Optic Cable is used in confined spaces such as mining operations where ventilation is of concern. What Is the Difference Between LSZH Cable and Common Cables? The function and technique parameter of LSZH fiber optic cable is just like common fiber optic cables, and inner structure is also similar, the basic difference is the jackets. LSZH fiber optic jackets is more fire-resistant compared with common PVC jacketed cables, even when they are caught in fire, the burned LSZH cables provide low smoke and no halogen substances, this feature is not only environment protective but the low smoke when it got burned is also important to people and facilities in the fired place. LSZH jacket is made up of some very special materials which are non-halogenated and flame retardant. LSZH cable jacketing is composed of thermoplastic or thermoset compounds that emit limited smoke and no halogen when exposed to high sources of heat. LSZH cable reduces the amount of harmful toxic and corrosive gas emitted during combustion. This type of material is typically used in poorly ventilated areas such as aircraft or rail cars. LSZH jackets are also safer than Plenum-rated cable jackets which have low flammability but still release toxic and caustic fumes when they are burned. Low smoke zero halogen is becoming very popular and, in some cases, a requirement where the protection of people and equipment from toxic and corrosive gas is critical. This type of cable is ever involved in a fire very little smoke is produced making this cable an excellent choice for confined places such as ships, submarines, aircraft, high-end server rooms and network centers. Every coin has two sides. Since LSZH cables have so many benefits listed above, what are the Cons of the cable? 1. LSZH is more susceptible to jacket cracking. Special lubricants have been made to minimize damage during installation. 2. LSZH jacket has a high filler content, around 50% to provide the required flame and smoke performance. This results in a lower mechanical, chemical resistance, water absorption and electrical properties then non LSZH compounds. 3. The current generation of LSZH cables has not yet established a proven history of long time performance. The LSZH cables are available with 1, 2, 12, 24 fibers, and variable sub-cable dimensions that support specific termination and routing requirements. They are suitable for halogen free and many international installations. LSZH cable contains no flooding gel and is OFNR Riser rated, is perfect for installation in conduits between buildings and run directly thru risers to a convenient network or fiber optic splice closure without a separate point of splice at building entrance. There are also LSZH fiber optic patch cords available. Both LSZH fiber optic cables and LSZH fiber optic patch cords are required for the Rosh compliant cable assemblies, but Rosh standard is more strict besides it require the cables to be LSZH type. LSZH fiber patch cables are used widely used in the places where expensive equipment would be damaged if exposed to corrosive gases, and they are also used in crowded areas like commercial centers and sports centers. This entry was posted in LSZH Fiber Optic Cable and tagged fiber optic jumpers, Fiber Splice Closure, LSZH Fiber Cable on July 10, 2013 by Admin.